Complete a 24 hour Practice course. Course consists of 6 chapters. Final quiz consists of 50 multiple choice questions. You must have a passing score of 75%. If you do not pass the first time, an alternate quiz will be provided. After passing the quiz, you will record your score and print your certificate. You must then take and pass the exam and apply for the license within 6 months of completing this course. Call the testing service, AMP, at 1-800-345-6559, to schedule your exam. Our school code is 24400. 14450 S. Outer 40 Rd. 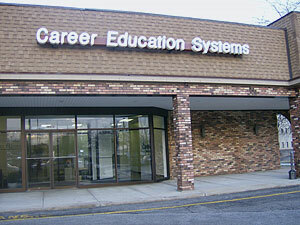 We are located in a strip mall called Woods Mill Center off of 141(S) and 40(W). Our location is difficult to find with a GPS but the GPS will find Dave's Famous Bar & Grill located in the same strip mall.